If you’ve exercised for years and not seen any change, you’ve probably looked into the usual suspects: liposuction, cleanses, and plenty of others. You may have heard of CoolSculpting as an option through radio ads, commercials, and celebrity endorsements. But does it really work? CoolSculpting is a way of freezing fat as a non-surgical, non-invasive alternative to traditional fat removal methods. 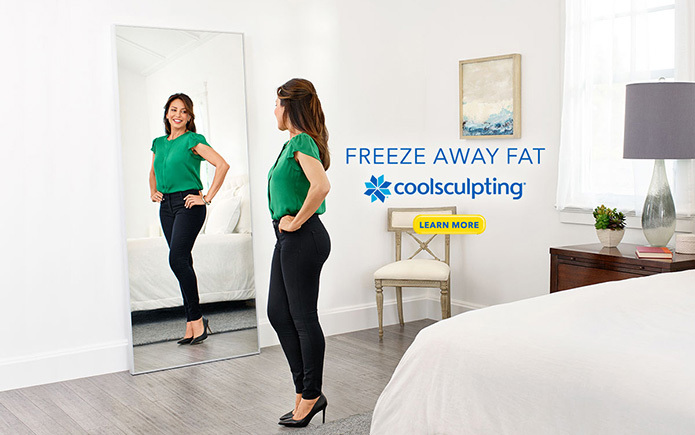 With acute cooling, CoolSculpting will freeze fat cells to help not only shrink the overall fat content of your body but create the silhouette you’ve always wanted. Television personality from Bravo’s “The Real Housewives of New York City”, philanthropist, fashion lifestyle entrepreneur and mom, Sonja Morgan, is partnering with CoolSculpting® as the face of the brand’s new “Let’s Get Real About Self-Care” program. During her partnership with CoolSculpting®, Sonja will share her self-care tips and her personal CoolSculpting® story. Sonja will appear in marketing materials, digital advertising and on CoolSculpting® social media channels, as well as participate in public relations activities. The benefits of CoolSculpting are many, to minimize your research time we’ve put together a few of them below. Possibly one of the best parts of CoolSculpting is it requires no surgery. In the past, people have had to remove fat in invasive ways and had to undergo long recovery time. There are no scars, no recovery, and it’s so easy it can be done and have you walking out of the office a few hours later. One problem many people encounter with surgical procedures is the lack of natural results. While these procedures remove fat, they don’t always result in a natural look thereafter with many people complaining of saggy skin and other issues. CoolSculpting does what it sounds like, and there are no scars left behind so the fat loss looks natural. CoolSculpting is not a method of any true weight loss. The process breaks down fat and allows you to have a more desirable silhouette in your clothes, but it does not help you shed pounds. It’s best for those with unwanted pockets of fat in inconvenient areas that want help getting a nice look back to their body. Eating a healthy diet and regular exercise is always recommended for overall health. Luckily, there are no scars or downtime to go through with CoolSculpting. But, as with anything, there may be some lingering effects. The most common complaints were tingling, numbness, redness, and minor irritation for a day or so after the procedure. But no lasting or dangerous side effects have been reported as a result of CoolSculpting. If you want to slim your look and do it without going through the physical trauma and recovery time of surgery, CoolSculpting is a great option. The ideal candidate has a healthy diet and exercises regularly so that CoolSculpting will be the perfect complement to your self-care routine. At Body Sculpting Spa in St Clair Shores, MI we recommend all potential candidates to come in for a free consultation to assess the problem areas with our certified CoolSculpting technician and design a treatment plan fit specifically for you. We want to make sure all your questions and concerns are addressed. Call us at 586-944-0140 to schedule a Free Consultation and speak with a specialist today!